666 Park Avenue: worth watching? 666 Park Avenue: New ABC Show; Is It Worth Watching? Tonight, ABC unveils their latest Sunday night drama. 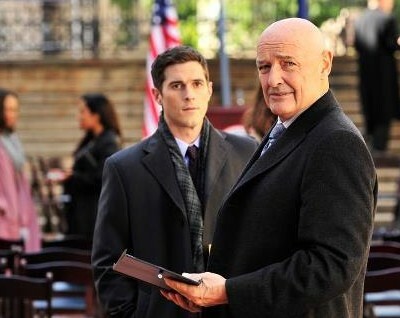 Will 666 Park Avenue attract solid ratings or be cancelled like last season’s Pan Am and GCB? Is it even worth watching? On 666 Park Avenue, a young man and woman move to the Big Apple from the Midwest and end up managing The Drake, a prestigious residential hotel. They feel like they’re living their dream scenario — until they realize that every dream comes with a price. The cast includes the talents of Terry O’Quinn, Vanessa Williams, Dave Annable, Rachael Taylor, Robert Buckley, Mercedes Masöhn, Helena Mattsson, Samantha Logan, and Erik Palladino. What do you think? Will you be watching 666 Park Avenue or have you already seen it? If the latter, will you watch again? I love this show it is exciting and the visual effects are great It made me want to stay up on Sunday night …it’s been along time since I’ve done that. I am so sorry to hear it has been cancelled..
At first, I didn’t want to watch it because it had 666 in the title (I went to Catholic school); then I decided to give it a try. I’m glad I did, because now I can say I’m not going to watch the show because it’s boring and trite, not because of some religious superstition regarding the title. I loved 666Park Avenue. I thought it was great. It kept me riveted to my chair wondering who Terry O Quinn was and then when it became apparent . I was intrigued. Looking forward to see what takes place in the weeks to come. The cast is incredible , very best, acting, the characters are so believeable. I think it will definitely be a hit. Thanks so much for something besides a police or medical program to watch. I,m also hooked after just the first showing. I enjoyed it and am looking forward to seeing more. Is it AHS gross/scary? No. It’s not even as gory as Supernatural – yet….but gore does not equal horror, and if it can develop and sustain psychological horror, I far prefer that anyway. Because of all the ‘hype’ I tuned in. I wasn’t at all impressed and I struggled to stay interested. Having this show on after the smash hit ‘Revenge’ (which always gets my adrenaline pumping) may very well be the problem. People’s expectations are set high and this show absoluely did not deliver. Simply put…I was bored and it’s not likely that I’ll be back…. Great cast, good cinematography, suspenseful! love it! Im hooked too! and so are my friends! I won’t be watching it simply because of the title. Sorry ABC, but like it or not titles do make or break a show. it’s a tv show! it’s not real! Loved Terry O’Quinn in LOST! Vanessia Williams was is Desperate Housewives! Rachael Taylor in Greys Anatomy! Dave Annable in Brothers and Sisters as Justin Walker. As for the show, It’s very interesting and I could see this show being a hit, I’m hooked!